The Center for New Community, a national civil rights and racial justice organization, recently released The Quinacrine Report: Sterilization, Modern-Day Eugenics, and the Anti-Immigrant Movement. 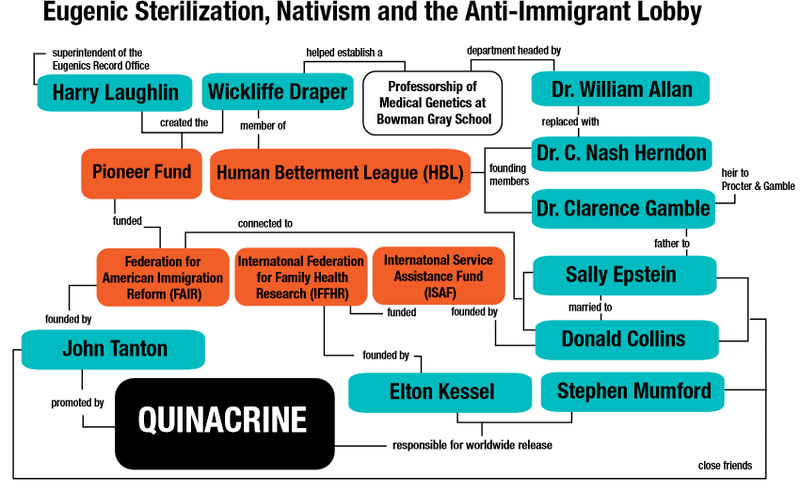 The well-researched document details the connections of top anti-immigrant leaders to the development and funding of Quinacrine, a drug used in coercive sterilization. Originally developed to fight malaria, Quinacrine was repurposed as an off-label form of female sterilization that is described by its developers as “permanent birth control.” As a sterilization agent, the drug is inserted into the uterus and leads to tubular occlusion, a blockage in or severance of the fallopian tubes, to prevent pregnancy. Women throughout Vietnam, Sub-Saharan Africa, Chile, and India have been subjected to the procedure, many without their informed consent. Female sterilization through Quinacrine is dangerous and potentially deadly. The drug has not been approved by the FDA, but rather cleared for Phase III Clinical Trials, pending further research and development funding. John Tanton, white nationalist and architect of the modern anti-immigrant movement, has promoted and helped finance Quinacrine sterilization. Tanton founded the Federation for American Immigration Reform (FAIR), the Center for Immigration Studies, U.S. Inc., Immigration Reform Law Institute (the source of bills such as Arizona’s SB 1070 and Alabama’s HB 56), ProEnglish, U.S. English, and the white-nationalist journal The Social Contract. NumbersUSA and Negative Population Growth also have financial or leadership ties to FAIR and/or U.S. Inc. In response to comprehensive immigration reform, members of John Tanton’s Network have, for years, framed the motivation for their strict anti-immigrant efforts as a concern over population growth and the draining of resources, rather than population control, which is what actually lies at the heart of their work. A significant number of these groups are attempting to weave population control ideology into the immigration debate. 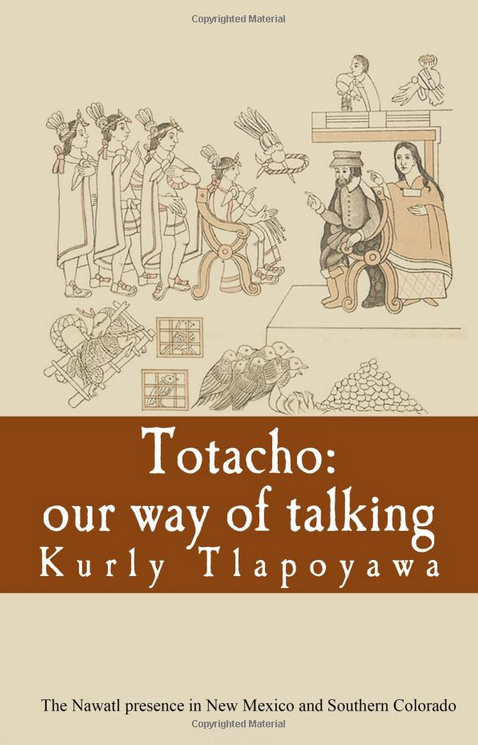 Population control and the promotion of Quinacrine have strong links to the forced sterilization programs abundant in the United States during the first half of the twentieth century. The report takes a closer look at the effect racist eugenics campaigns had on North Carolina in particular, and current ties the promoters of Quinacrine have to the state. North Carolina is currently considering reparations to surviving victims of a decades-long forced sterilization program that continued into the 1970s. via Report Details FAIR, Other Groups’ Connections to Sterilization Drug | IMAGINE 2050.